Yes! It IS possible to have weekends without school work. We’re several weeks into second semester, and somehow I’ve succeeded in not having to do any school work on the weekends. This is revolutionary for me. I can’t remember a time where I didn’t have the shadow of papers to read invading every single school-year weekend. Yes, my students are still writing and I’m still reading their writing and responding. No, things aren’t piling up. I’m keeping up with the work. This all came about as a matter of necessity. I have a book deadline coming up, and I need to make progress week by week. I need huge chunks of time to write, and I have those blocks of the time only on the weekends. So I had to find some way to free up my weekends for that work. This is my 22nd year teaching. Funny how I’m still learning things that I should have figured out years ago. ONE: I’m in control of when my students turn work in. If I’m slammed with a bunch of work at once, it’s MY fault. I know that I get overwhelmed when I have more than one class worth of papers to review at any given moment, so now I work to keep this from happening. For years, when I’ve voiced exasperation to my brother (a truth teller in my life as a sibling often is) about how much student work I have to get through, he has said, “well, who gave them the work?” HA! I would think. My students need to write and there’s no way around that. That is true. But I ALSO have way more control over what I collect from them and when I collect it than I realized. I can control the flow of work I need to look at if I am more intentional about it. Here’s another thing I’ve recently figured out: if I know my evening time will be compromised (like as it was last week for two nights in a row of parent/teacher conferences), I can plan to NOT collect anything from my students on those days. I’m trying to avoid the work stacking up. If I won’t have my usual time to read and respond to their work, then I won’t collect it. This means maybe students will take a week off from the normal routine, and they’ll appreciate that. This means maybe students will still do the work, but I won’t look at it. This is okay at times too! This means maybe students will do the work, but they’ll share it with each other instead of turning it in to me. TWO: I can set due dates that are not only reasonable for me, but reasonable for my students. I do not set due dates over a weekend. I won’t look at the work anyhow, so why collect it then? Whenever possible, I avoid Monday-at-school due dates too and stick to Monday evenings through Thursdays as due dates for my students to turn work in. I also avoid 11:59pm as a deadline–why on earth would I want to encourage my students to be up working on stuff for my class at midnight? Sure, they can turn it in earlier, but remember what it was like being a teenager? Were you more likely to leave it until the last minute or turn it in early? 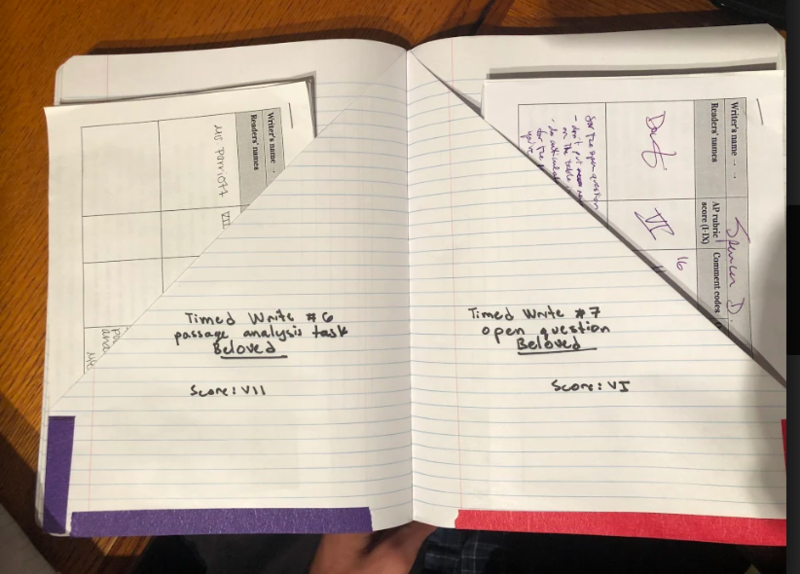 I can encourage healthier study habits by giving my students reasonable deadlines that don’t encourage them to be working when they should be sleeping (or weekending–they need time away from school too!). I didn’t see a lot of this until my own kid hit high school. I have found myself annoyed when she has to turn something in by 6pm on Sunday, for instance. We might be in the middle of a Sunday evening family dinner and she dashes off to get something done. Of course she could have turned it in ahead of time, but the deadline could have been at a different time as well so that it didn’t even suggest the possibility that she might have to duck out of a family dinner to do school work. THREE: I have narrowed down what it is that I actually look at and respond to. My students need to write far more than I’m able to handle on my own. It’s okay if much of the work my students do gets a quick glance from me and that’s all. 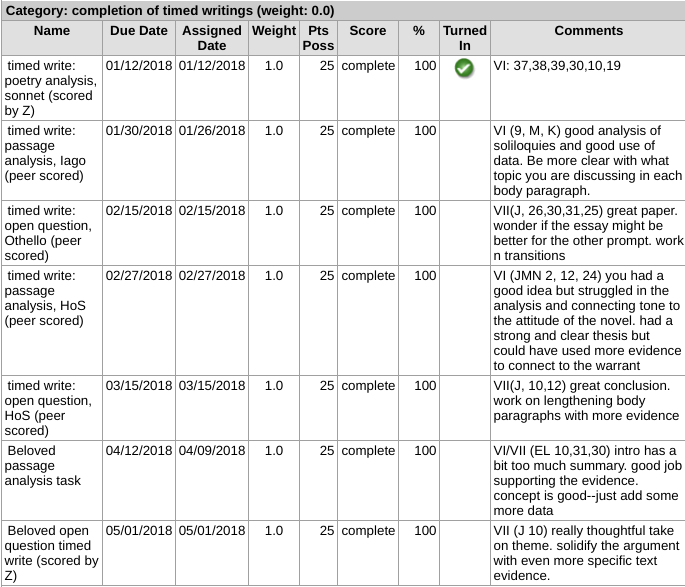 I spend my thorough feedback energy where it matters most–on the work my students will revise and keep working on so I know my feedback efforts aren’t wasted. FOUR: I can stagger when students turn things in. This year, I teach two sections of AP Lit, two sections of our non-AP/IB senior language arts class, and one section of journalism (I advise the school newspaper). My senior LA students turn in a draft every week. I used to schedule their weekly drafts due on Fridays, leaving me two stacks of drafts to get through over the weekend. Now I collect the weekly drafts on Wednesdays and Thursdays. Due to our modified block schedule, I see one of these classes on Wednesday, and the other one on Thursday. I can easily get through one class worth of weekly drafts in about an hour. So what I collect on Wednesday afternoons, I return on Wednesday evenings. What I collect on Thursday afternoons, I return on Thursday evenings. Students get their work back from me quickly, and I roll into the weekend with no weekly drafts to look at. More staggering: my AP Lit students do timed writes every other week along with peer feedback. 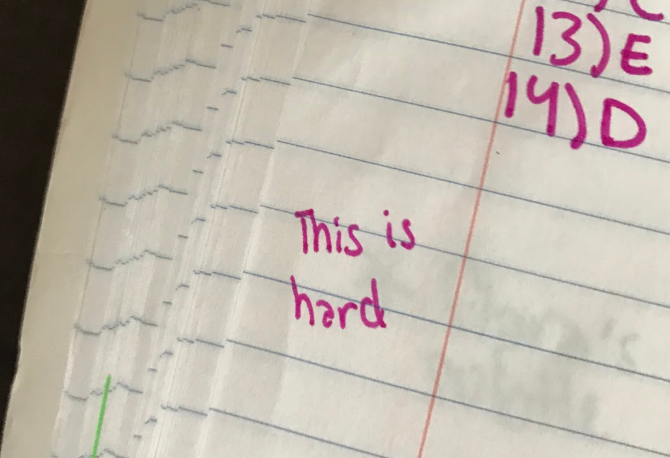 I make notes in the gradebook about what comes up in the peer feedback and glance over their timed writes to get a sense of how things are going, but I don’t do feedback on these. My students do choose one timed write to revise with me, back and forth, until we decide they’ve learned what they can with it. These take me a while. When I collect two classes worth of these at once, I feel like I will never get them done. So this semester, I made a schedule where I collected these from a third of each class last week. Another third of each class next week. And the last third of each class two weeks after that. On the days I’m collecting these, I get no more than six total (three from each class). I can handle six of these in an evening. Easy. So far, I’m returning these to students usually the day they turn them in (or the next day). They’re getting immediate feedback. But the best thing is that I don’t feel overwhelmed. I also advise newspaper. I use the off period I have before that class meets to read and respond to anything I need to for that particular day. FIVE: I block out time each week for ongoing curriculum planning. Due to our modified block schedule, I have the longest chunks of time for prep on Wednesdays–so I reserve my off-periods on Wednesdays for planning all of my curriculum for the following week. I make my plan for the the week and post it to my Google Classroom pages. I pull together/create all the materials necessary too. This keeps me always planned ahead of time, always thinking ahead, always ready to go. And NOT having to do my lesson planning every single day–just once per week. Of course I make adjustments as I go, but this takes only bits of time. I get the bulk of the planning done once per week. SIX: I set rules for myself and honor them. Curriculum planning always gets done on Wednesdays at school. If for some reason I don’t finish it at school, I must finish it that evening. In the evenings, I respond to all student work that came in that day (now that I’ve staggered when it comes in, I can almost always accomplish this!). I don’t collect anything on Fridays so I don’t have any work staring me down over the weekend. I don’t do school work on Sunday evenings. My lessons for the week are already planned. I can catch up on any student work that comes in over the weekend on Monday. SEVEN: I get serious about off-periods at school. I aim to use my off periods as efficiently as possible. A screenshot of the google keep note that is my on-going to do list. A few moments of goal setting while I’m eating my breakfast helps. 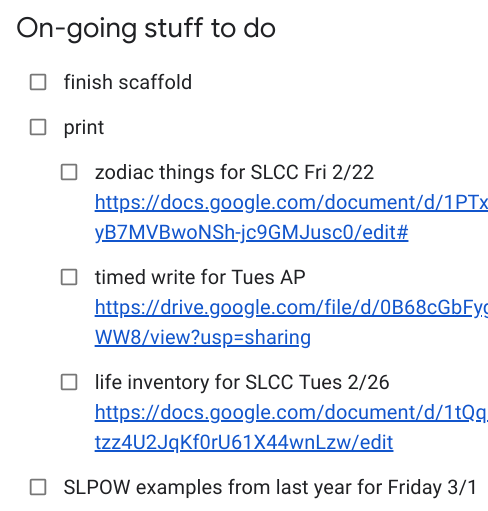 A running to-do list on a Google Keep note helps. I love that I can access my Google Keep notes on my phone or my computer. Daily goals about what I want to accomplish help me to keep focused, and that makes me much better at using my off-periods at school effectively. And if what I need to do on an off period is work through a stack of student papers, it’s okay for me to hide out somewhere in the school where people can’t find me to get this work done. I love the people I work with, and I love talking to them. Usually I can work with them nearby and get my tasks completed on my off periods. But sometimes I need no distractions, no conversation, no on-the-fly collaboration discussions because I just have to get through some student writing. I’ll take my computer and hide out in a corner of the school library and get the work done. EIGHT: I quit social media. Okay, not totally. But I did delete my Facebook account last year. I deleted my Snapchat account over the holidays. And I haven’t looked at Instagram for several weeks (and I will be deleting that account soon, too). All I have left is Twitter, which I value for the professional connections it makes possible. But I control the time I spend there. The time I’ve gotten back because I’m not endlessly scrolling through social media feeds has helped me to keep on top of my school work during the week. I did add the NYTimes crossword app to my life, and I enjoy distracting myself with that every day for a bit. But this is so much better for my brain than the endless scrolling that I used to find myself doing on social media. I get some sort of exercise 6 days per week. Walking, running, hiking, or yoga. I plan ahead and work my plan. Exercise helps my mood and my thinking. I’m a better human when I make the time to exercise. I’m a night owl and love staying up into the wee hours but it doesn’t work well with how early I have to get up on school days. So I need to get myself to bed sometime between 10 and 11. This means there are times I don’t get all the student writing read and responded to, but that’s when I get super focused on my off periods the next day to get the work done. A typical Mon-Thurs afternoon/evening for me is home by 4ish, exercise and dinner done by 6/7ish, family homework time by 7ish (my husband is also a teacher and, as indicated earlier, my daughter is in high school. We all have homework pretty much every day). TEN: Be kind to myself when things don’t go as planned. Things come up. Life feels out of my control. Time slips away that I thought I was going to have. I just have to make a new plan and stay focused on getting it done. ELEVEN: Be kind to my students when things don’t go as planned for them as well. I work with students when life comes up and they need more time. I frequently negotiate extended due dates with individuals as needed. I want students to feel like they have the time to do their best work. I want to help them think ahead and manage their time responsibly. I want to offer them a bit of grace when life throws curve balls at them (just as I’ve appreciated this kind of grace from others in my life). Yes, there are times when the due date is really important for some bigger reason, but most of the time, I can be flexible. 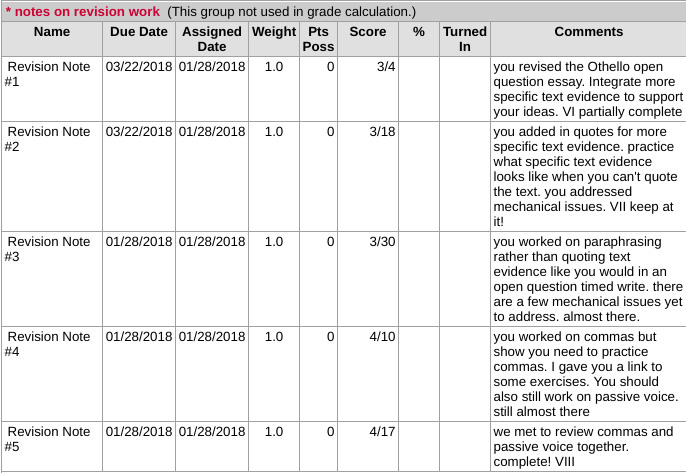 I’m honest with my students about why and how it helps ME to manage my time and workload and life when they hit my due dates, and most of them do hit my due dates most of the time. When they see me working hard to get their writing back to them in a timely manner, they work hard to get it to me on time (and talk to me when they can’t). It also helps to work with colleagues who are good at setting boundaries around their school lives. Jay, for instance, is working on his second album as a singer-songwriter. 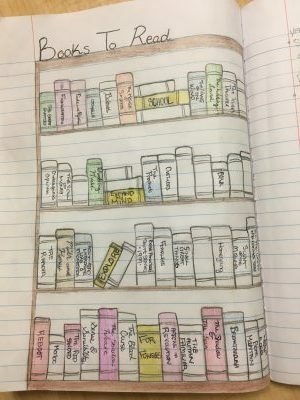 He has very healthy boundaries around his school work so he has time to do that other important work. For years he’s been encouraging me to not do so much work at home–I mean they don’t actually pay us for the work we do on the weekends, right? With some careful planning and setting some clear rules about my school work this semester, I’ve managed to (so far) leave school at school on the weekends. I’m hoping I can keep this up. What are your tricks to manage your school work so it doesn’t take over your life? This post has been percolating for a while now, ever since I left NCTE in Houston. I need to sit with my discomfort. I can’t be so terrified that I’ll mess something up that I don’t even start. When I don’t actively disrupt, I perpetuate. I thought I got it, that I understood the issues. But I have so much to learn. That last one is the one that’s been nagging at me most. See, I’m writing a book right now. I’ve been working on it–with the care of a very patient, supportive, and insightful editor–for about 3 and a half years. It’s about grading practices that support readers and writers better than the typical percentage/points-based approach. 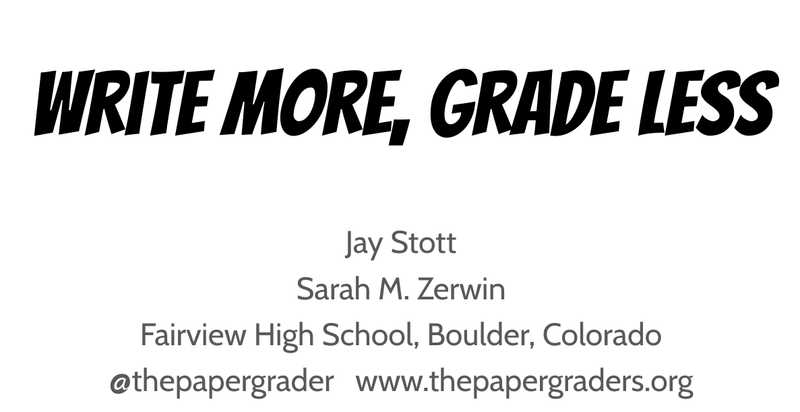 I’m writing the book to share what I’ve learned on my classroom journey over the last few years as I’ve worked to circumvent the negative impact that traditional grading was having on my students. I want to place the book meaningfully in the most important conversation we are having right now about education: equity. My thinking about why the book matters really started coming together after seeing Cornelius Minor talk at CEL in 2017. I had this a-ha moment: grading practices are one of the many places oppression hides in schools. If we don’t actively change our grading practices, we perpetuate the grades-for-compliance exchange that organizes schooling by forcing students to work for grades, and it hurts our students. All of them. 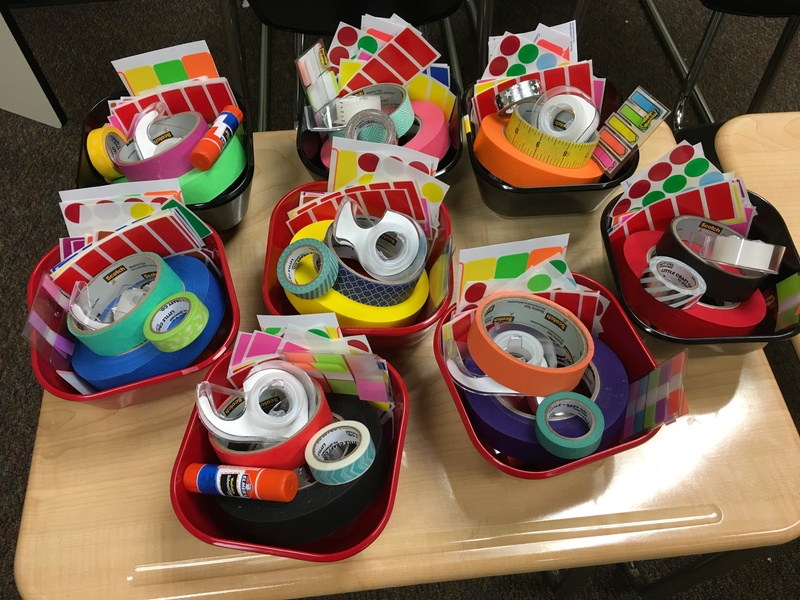 Some students buy in to what they get in the grades-for-compliance exchange. Instead of focusing on learning, they focus on point collecting to get what they want out of the exchange–grades they can cash in for college admissions or car insurance discounts or scholarships. Other students don’t buy in to what they get in the grades-for-compliance exchange (or the tricks of point collecting are a mystery to them). They end up with constant reminders that school is not for them because they remain, perpetually, on the bad end of the grade scale. In neither case are students actually focusing on the important learning they need to do. 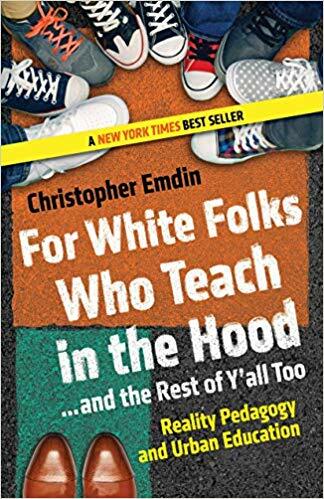 Last weekend, I finally read Chris Emdin’s For White Folks Who Teach in the Hood. I’ve had it since NCTE. In the chaos of the end of the semester I just didn’t get to it until now. I read it within about 36 hours in between the various tasks that filled up my last weekend of the semester break. It’s powerful pedagogy. I love his call–through what he terms “reality pedagogy”–to teach in ways that work for the kids who are sitting in front of us. He challenges us to actively seek to understand who they are and how they think and what matters to them, bringing into the classroom their culture in ways that show them that who they are matters. He offers concrete methods for doing this, and the stories from his classroom and the classrooms he’s worked with are inspiring portraits of what’s possible in classrooms across this country. Here’s where I need to wrestle with my privilege. I’m white. I teach (and live) in a college town in Colorado with a healthy tech industry. It’s a safe place to live. I have miles of hiking trails about a ten-minute walk from my front door. The school where I teach is also a ten-minute walk from my front door. Though Colorado’s school funding is abysmal, things are better here thanks to high property values and voters who nearly always say yes when the school district asks for funding. My district has one of the highest salary schedules in the state, which draws really strong candidates anytime we need to hire for a position. My school is one of the best public schools in Colorado (based on test scores, high #s of national merit finalists, low #s of our students who need remedial courses in college, continual success of athletics and fine arts, and a vibrant set of extra-curricular activities). We have the books and supplies we need in general. 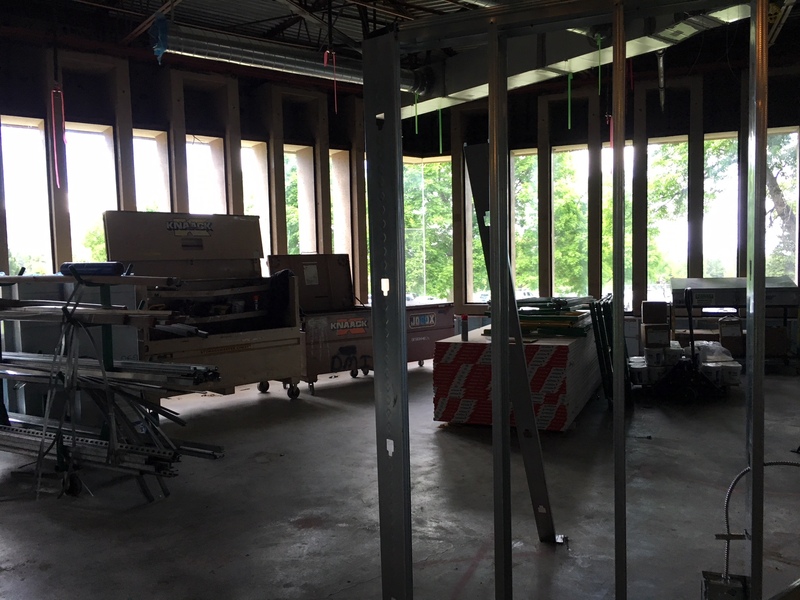 You should see the million-dollar mountain view out of the nearly floor-to-ceiling school library windows–the heart of the school. As teachers, we have a lot of freedom from a stable administration that supports innovation. My job is pretty secure. My life is pretty secure. This post, by Tricia Ebarvia, has helped me to identify the thinking I need to do. I’m grateful for her honest and insightful writing on this topic. She articulates things I didn’t even really realize I needed to be thinking about. Because here’s the thing: I thought I got it. I grew up in an urban neighborhood in Denver. I went to schools with classrooms full of kids of all colors and varying socio-economic status. My family decided to move to the suburbs right before my 9th grade year, so my high school experience was in a less diverse school. By the time I was finishing up college and looking to do my student teaching semester, I chose to go back to my roots, to an urban high school, where I would be surrounded by the diversity my life had lacked since my family chose to leave the city eight years before. After that, my first three years of teaching were in a high school just outside of Seattle in a district more diverse than the schools where I’ve taught since. Even so, due to my early years of growing up in a city surrounded by diversity, I thought I got it. But what I was missing was this: my slice of the city life during my childhood was a privileged one. I have always been grateful that my childhood was stable, my home life secure, that I had everything I needed. My parents struggled to pay for college, but it is a privilege that I had parents who even could pay for college. I got out of college with zero debt and the title to the car I had been driving for the previous few years. I didn’t have much money, but I was steeped in the wide-open possibilities that someone of privilege takes for granted. Yes, the idea that I could move wherever I wanted, find a place to live, and get a job was a certainty that I didn’t question. So I took off to launch my adult life. The journey I started just a few weeks after I finished college led me through three states, two school districts, one master’s degree, and almost nine years before I made my way back home with a husband and daughter collected along the way. Rather than settling in Denver, or in the suburbs where my parents were still living, we chose the college town, and here we’ve been ever since. I know this is an excellent place to raise a kid (strong schools, safe neighborhoods, healthy activities, easy access to healthy food), and I do not regret that this is where my daughter’s childhood memories reside. But in choosing to be HERE, throwing our money into the local economy, weaving our way into this community and fitting in to what it is, we perpetuate what it is. I live in a mostly white community that considers itself progressive but is largely clueless about actual diversity because we don’t see much of it as we move through our lives from day to day. As such, we contribute to social stratification based on race, even within our own community. So while I thought I got it, what I was missing was this: I have so much to learn. I have, over the years, found myself defending my school and community from people who write both off because of the privilege people assume is there. The privilege IS there, yes. But we also have some of the challenges that more diverse communities have. In the 13 years I’ve taught in my school, our population of students of color has grown from around 15% to around 25%. Our free and reduced lunch students have grown from around 4% to around 10%. We’re adding resources we didn’t have before to support students we didn’t have before. The changes in our student demographics are notable, but mostly, I do teach the privileged. I can keep doing what we have always done because it’s easier and it works (if our test scores are the indicator), but then I have to own the ways I’m perpetuating a system that will produce citizens who will go on to perpetuate social structures that oppress humans. As Cornelius Minor explained in his 2017 CEL keynote address, systems are like machines that keep operating until someone actively turns them off. If I don’t actively work to disrupt the way the systems of our society run, they will keep on running, and I will be complicit in that. Back to my notes in my writer’s notebook–what can I do? Educate myself. It is not the job of the people of color in my life to teach me about diversity or the need to decolonize schools or how to examine my own privilege and bias. I must do this work myself. I’m reading about it. I’m following conversations in Twitter about it. I’m attending conference presentations about it. I’m writing about it. Listen. When I do find myself with an opportunity to hear from a human typically marginalized by our world about their experiences within it, I shut up and listen, even if what they say challenges the way I’ve always understood this world to be. ESPECIALLY when what they say challenges me. Seek stories of others. In 2019, I will read books written by marginalized voices wherever possible. If I hope to create a classroom that disrupts the way my students move in our world so they can disrupt oppressive systems, I have to break apart/ disrupt/ problematize the understandings of our world I carry with me, one story at a time. Friends, lives are at stake here. Our country’s heart and soul are at stake here. Yes, there are a lot of conversations in education that are important, but THIS one trumps all of them. I really see no point in doing any work right now as an educator that does not help us down the road toward equity in our schools as intentional work toward equity in our world. I need to create classrooms that show my marginalized students that their voices matter. I need to create students who will use their voices to speak up for the marginalized in our world. I know that grading practices sit at the center of this because what we emphasize with our grading is what we are showing our students is most important. Competing for points to cash in for grades at any cost? Or using grades to get students focused on the literacy skills they need to hone to be full agents of their own futures? I need to keep examining my own biases, privileges, blind spots, and misunderstandings of human experience. I need to actively seek the places where I am complicit with structures that oppress and marginalize so I know where I can resist. I need to invite my students to do this work too. The teachers behind #DisruptTexts are inviting important conversations about the texts we choose to teach. And they are four teachers heavily involved in equity work beyond the #DisrtuptTexts work. If you’re not already following them in Twitter so you can read their threads and blog posts and see the resources they share, you should be (that’s Tricia Ebarvia, Lorena Germán, Dr. Kimberly N. Parker, and Julia Torres. I lurk in Twitter more than I tweet. Aside from the #DisruptTexts Twitter gold on the issue of equity and decolonization, there’s also the conversations happening around the #ClearTheAir hashtag. I’ve found several folks there that have been important for my thinking, like Val Brown and Christie Nold. Maja Wilson’s book, Reimagining Writing Assessment from Scales to Stories, breaks down the damage of any grade scale that we might use in the classroom. They’re all nothing more than a good/bad binary, and we can’t divorce them from their insidious roots in the birth of the educational measurement movement. Wilson shows that around the beginning of the 20th century, with the influx of immigrants from eastern and southern Europe, very early efforts of educational measurement used scales to justify social stratification for the benefit of keeping some in the higher ranks of society and others in the lower ranks. The ranking we do in schools via grades (or any other scale we use on a rubric, for example) continues to do this. I’m hoping my book will help teachers figure out ways to avoid continuing this damage. I love the powerful optimism and practical strategies for making change in Cornelius Minor‘s We Got This. I have already given it to the teacher I’m mentoring at school and will be talking about it with a group of colleagues later this week. And everything I’ve got here, on a Pinterest board. I’m collecting Twitter posts/threads and articles I come across that help me think about equity. How are you doing this work? How can we work together on it? We had a great conversation today with the folks who came to our session. Thank you! Keep doing the great work you’re doing to get your students to write more, relieved of the stress and pressure of an ever-present grade. Keep finding ways to make YOUR responding work more manageable and joyful. Keep in touch–hope to see you next year! Click on the link below to access our slides. I added a slide at the end with links to the resources you asked for in the presentation. 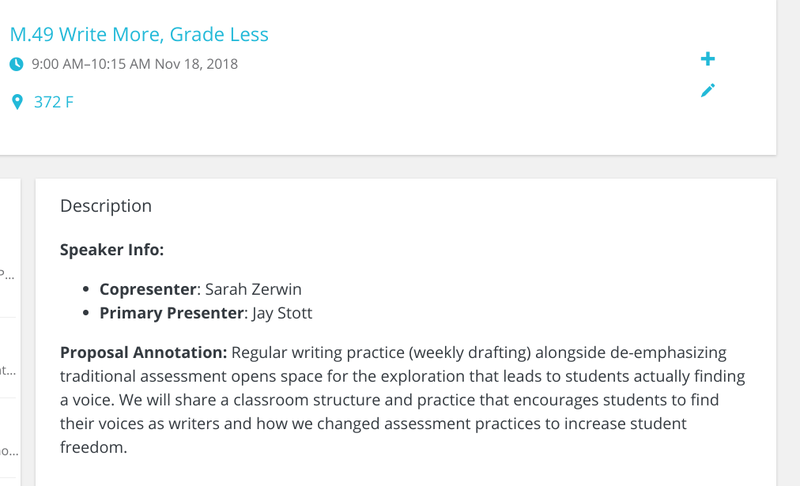 And click here for Sarah’s blog series on grading for even more details. That’s what today created for me. A strong sense of urgency to change how we are doing things, collectively, for the benefit of every single one of our students. This urgency has been building from the other sessions I’ve attended (#DisruptTexts, I’m looking at you), but Dr. Christopher Emdin’s key note address today stoked it exponentially. I’m going to write tonight to figure out a few things that I really want to have straight in my head by working to explain them here to you. Help me out if I am missing something or get one of the pieces wrong. After the general session this morning, Jay and I stood on the edge of a hall outside of the auditorium with our heads spinning, thoughts reeling, processing what we had just witnessed in Emdin’s key note that was part church, part challenge, part pep talk, part academic argument, part appeal to his fellow teachers who care intensely for the kids who people our classrooms. I’m one of “the rest of y’all too” that the title refers to. I ordered his book immediately and paid extra so that it will arrive on my doorstep in time for me to take it with me on my family’s road trip to Iowa next week for Thanksgiving. In the section of Emdin’s talk about this, he gave an excellent example to help us understand this term. He talked of someone he knows who said, “I get it! I have a friend who is ‘golf ratchet.’ He can play fine, but his form is kind of messed up, so I never bring him around my actual golf friends.” So Ratchet = anyone who’s form is outside of what is expected–meaning appearance, or behavior, or mannerisms. 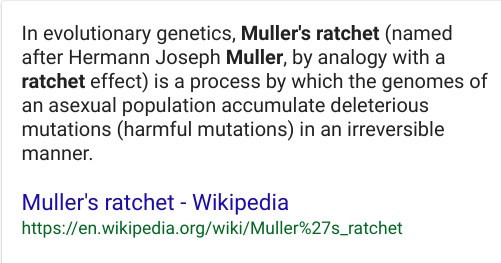 And often someone who is “ratchet” is assumed to not be particularly intellectual or academic. He explained how sometimes schools expect only one way really for students to be academic and intellectual. It’s the way of the dominant culture, and it squeezes out students of color and tells them that their ways of interacting with ideas and the world are less than. But like the “golf ratchet” example, they can play fine even though their form might be different. We must make space for all “forms” of our students, all ways to BE a student, to interact with ideas, to move through a classroom. This is what Emdin asked of us today. And it’s about more than just our students–the norms and expectations that school expects simply mirror the norms and expectations of society. We see those norms and expectations asserting themselves in moments like when a Starbucks employee called 911 last spring on two humans who had been there for only two minutes without ordering a drink (they were waiting for a business meeting). Or we see them at play when a police officer shot a security guard a few days ago after he subdued a gunman in a bar. That security guard is dead now. He had a 9-month old child and another one on the way. Lives are at stake. We must shift people’s perceptions. We must do this work in our classrooms to lift up our students to do this work in the world. Their voices have impact; we need only to use our classrooms and the literacy skills we teach to amplify them. This is where the science teacher that Emdin is did a very ELA teacher thing–he took this process and used it as a metaphor to help us understand something about schooling. If we just keep doing what we’ve always done (i.e. asexual reproduction, the same teaching methods showing up again and again, generation after generation of teachers) the system will mutate harmfully and irreversibly. It will get worse and worse. It will harm students more and more. But we can stop this. Emdin asked us to think about what in each of us is ratchet–what about us goes against what is expected? THAT, he said, is what we each need to find and lead from. It’s how we will push back at damaging societal notions of who is smart and who is worthy and who is intellectual and who is not. This is how we shift perceptions. Starting with our own. He left us chanting together–inspired by one of my heroes, Toni Morrison–that we will refuse to be consumed by or concerned by the gaze of the other. I.e., we must be strong to do what is right by our students, even if it goes against what others expect of us. Unapologetically.